Waterloo – A senior research scientist from Environment and Climate Change Canada (ECCC) will be coming to Wilfrid Laurier University as part of a multi-year co-location agreement between ECCC and Laurier. This agreement is intended to strengthen the research links between the Government of Canada and Laurier. Joseph Culp, a senior research scientist in ECCC’s Science and Technology Branch who is affiliated with the University of New Brunswick, will begin his appointment at Laurier’s Waterloo campus on October 1, 2017. He will work with Laurier faculty, staff and students to further enhance joint commitments to cold regions water priorities. Culp will focus on collaborative projects to improve bio-assessment approaches and advance analytical tools and predictive models. These tools assess risks to northern aquatic ecosystems from nutrients, sediments and contaminants whose concentration in freshwaters can be affected by climate change and related permafrost thawing. 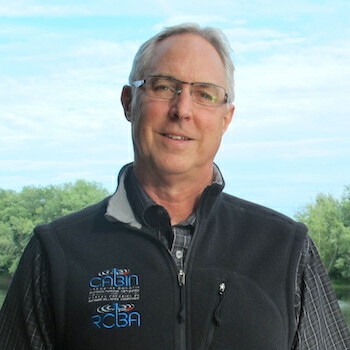 In addition to his ECCC role, Culp is one of the science directors of the Canadian Rivers Institute (CRI). Laurier President and Vice-Chancellor Deborah MacLatchy is a founding fellow of the CRI and a number of Laurier faculty members are affiliated with the organization. At Laurier, Culp will work closely with researchers from Laurier’s Cold Regions Research Centre (CRRC) and the Laurier Institute for Water Science (LIWS) in support of ECCC’s northern research aquatic programs. He will be affiliated with the Department of Biology through the Faculty of Science. “This strategic partnership has excellent potential to provide a national and international focal point for research on biomonitoring approaches that assess and diagnose the ecological effects of multiple stressors on northern freshwaters,” said Culp. Culp says he plans to engage both graduate and undergraduate students as part of his research program.